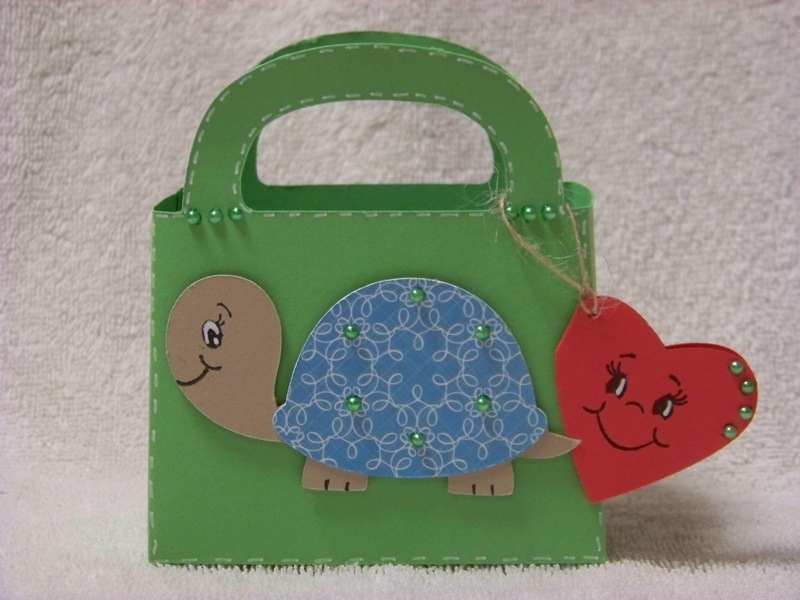 The lastest Flaunt It Fridays challenge is to use the turtle on page 64 from the Create A Critter cartridge. Now I soooooo loooooove Create A Critter!! I just had to think about how I wanted to flaunt it!! I decided to make a bag from Tags Bags Boxes and More cartridge. I fit it on an 12x12 page on my Gypsy Girl. Then I started sizing my turtle to fit the front of the bag. I cut her in some tan and cut her shell from DCWV Citrus Stack. I love the blue with the white swirls. The swirls made what looks like little flowers and I decided that would be perfect to put bling in the center of! I used white half pearls that I colored. Her darling little face is from Peachy Keen Stamp set-Critter Faces Set A Medium. Then I popped her on the front of my bag. I cut the heart tag from TBBM also. It is under the mirror layer. I just used the hide feature and hid the other 3 cuts so it left me with just the heart. I blinged it up and used Peachy Keen Stamp set-Snow Cutie Face Assortment for her darling face. Then I used some twine from Papertreyink to tie it onto my bag. I also did some faux stitching on the bag. Hop over and join in on the fun!! They post a new challenge every Friday and it is just soooo much fun to 'Flaunt It'! Very cute Sharon!! I love what you did on the turtle shell!! Super cute!! This is just too cute sharon! Thank so much for joining us on FIF!! Have an awesome day! I love to make these little treat bags. You can add anything for any holiday. My students always prefer what is them. :) Kids! Oh! This bag is so sweet. I love the heart tag on the side. Isn't that CAC turtule the cutest? Sharon!!! 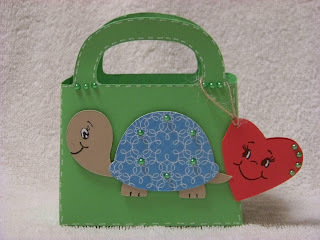 WOW great job on the challenge I love the heart and the turtle combo! Thanks for flaunting it at FIF! Thanks for joining us at Flaunt It Fridays! 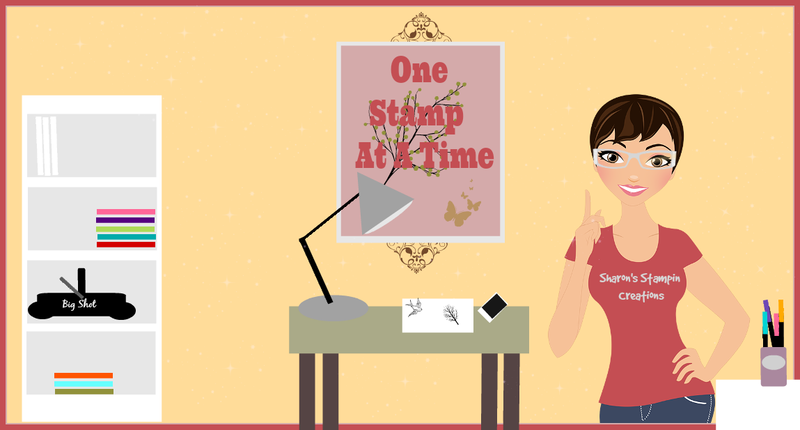 Sharon, this is a great project!